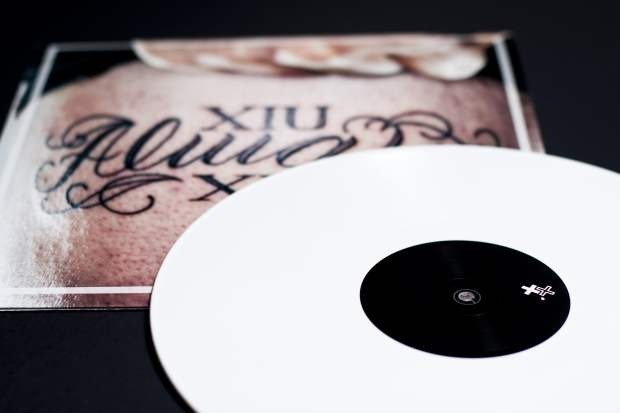 Off Xiu Xiu's Always record, “Born To Suffer” puts the lens on mental health and suggests that much like you cannot change the color of your skin or your sexual orientation, you cannot be unborn a sufferer – no matter our medicinal approach. Xiu Xiu likes to include a healing plum to its dancing glitchy-electro pop. When Jamie Stewart sings, “born to suffer / you are embarassed by this thought” it's as though he's placing a knowing hand upon a pained-one's shoulder and saying, I hope this one helps you hurt less. While we want to optimistically believe that we're all owed prolonged happiness, Stewart wants the terminally depressed to find the strength in being who they are, rather than cry our way into the clinic. Xiu Xiu is bringing its dance theology to Bowery Ballroom on August 30. We figured you might want to go, so we're giving away two tickets (because you should never be alone at a Xiu Xiu show) and a copy of Always on vinyl, so that you're properly acquainted with Xiu Xiu. The task is simple: Follow us on Twitter (@IMPOSE) or Like us on Facebook and let us know why you are deserving of the tickets. We like ancedotes, clever 140 character posts, and sympathy stories about how you would suffer without this prize, although not too dark and twisted, please. Also, we know what robots look like, do not try to fool us with fake accounts. Entries submitted in our comments section will not be considered. Xiu Xiu's Always is out now on Polyvinyl.